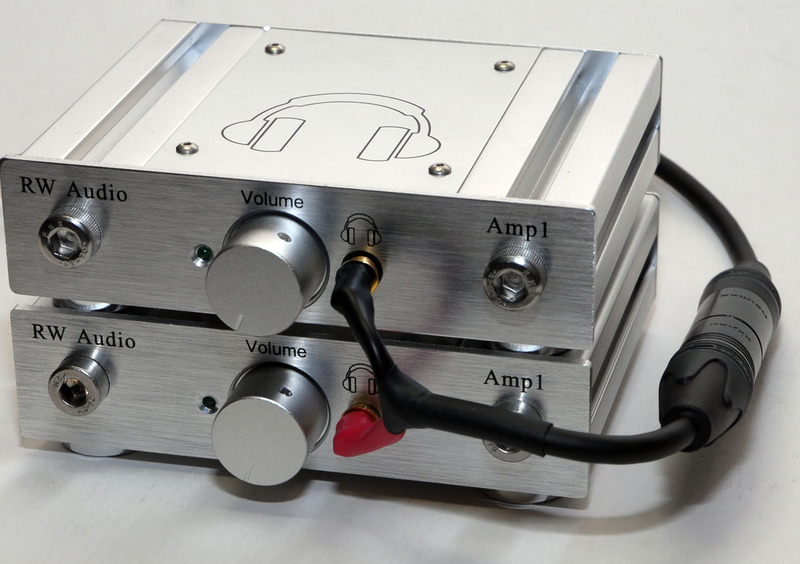 Alone, Amp1 is a compact inexpensive desktop headphone amplifier that sounds incredible for the money. As a PAIR, Amp1 gives you true balanced sound in a compact package with exceptional sound quality. The key to making this work is connecting a balanced source (cd/sacd/dac/other) to both amps. Using an XLR to 3.5mm cable (or XLR to 1/4“ then 1/4“ to 3.5mm adapter) connect the left output of the source to the input of one Amp1, connect the right output to the input of a second Amp1. So instead of L/R/Gnd on the input the first Amp has Left Positive signal/Left Negative signal/Gnd, the second Amp gets the Right Positive signal/Right Negative signal/Gnd. Since each amp only handles one channel, the outputs have to be tied together to power a set of headphones. Shown below is a dual 3.5mm to 4 pin XLR adapter that allows you to plug in all of your 4 Pin XLR balanced headphones. 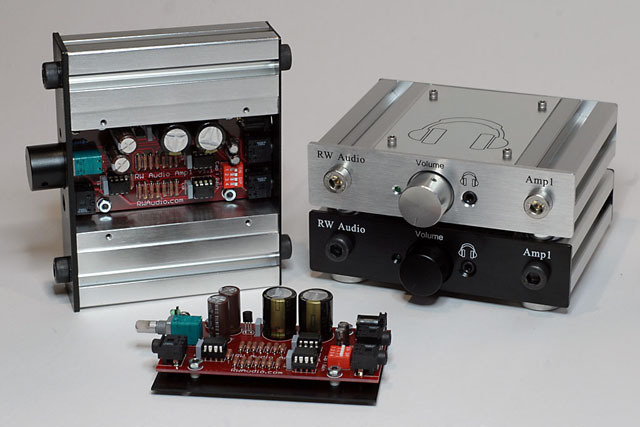 – Amp1 was designed mainly using AKG K601’s (120ohm) for listening tests, because of this it has a wonderful synergy with AKG even more so the K601/K701/K702 (120/62ohm) Family. 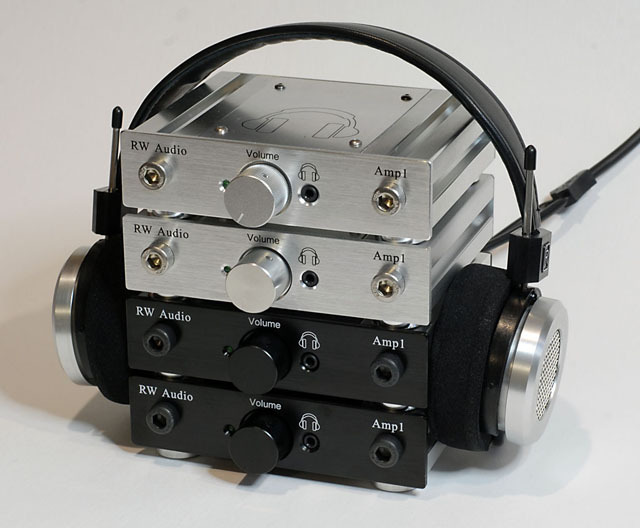 – Further testing was done with Alessandro MS1’s (32ohm), Grado HF-2’s (32ohm), Sennheiser HD650’s (300ohm), PX100’s (32ohm) along with vintage AKG K240 Sextetts (600ohm) and Monitors (600ohm). – Amp1+HF-2 is a hit or miss combination, sounding better than almost all other headphones on some tracks while leaving you reaching for the skip button on others. – Has a nice synergy with all other headphones I’ve tried, and from customers using a wide variety of brands and models, some very high efficiency headphones may experience a slight hiss due to the gain required to drive higher impedance/low efficiency headphones. Battery1 is an inexpensive solution that virtually eliminates all noise even when used with the most efficient IEMs. – Works equally well driving 32ohm through 600ohm headphones and even IEMs when Amp1 is paired with Battery1. – Designed to integrate into your home or office computer station using a line in from your pc and providing a preamp output to your powered computer speakers, simply plug in your headphones and without swapping cables the speakers are muted and your headphones provide a wonderful listening experience. 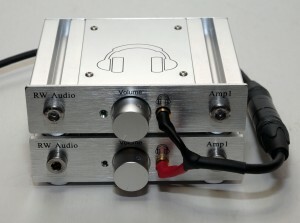 – Makes an excellent and affordable upgrade to all internal and external PC/Mac sound cards and usb dacs. – NEW The Amp1 upgrade! Click here for details.